Dr. Harsh Vardhan, Union Minister for Earth Sciences in the Government of India, has confirmed what environmentalists have been warning since over a decade. While dedicating the country’s high performance computing (HPC) facility –named Bhaskara at National Centre for Medium Range Forecasting in NOIDA, the Minister cautioned against complacency towards climate change. Further, he described the ongoing extreme heat situation and back-to-back deficient monsoon phenomenon as manifestations of climate change. “I am a man of science and cannot be blind to the fact that both the south-west and north-east monsoons failed in 2014. For 2015, today the IMD’s prediction of an overall 93 percent probability of a weak monsoon is a worrying cause for all of us,” Dr. Harsh Vardhan cautioned. The Indian monsoon is known to be heavily dependent on oceanic, atmospheric and land surface conditions. Therefore, the Earth Sciences Minister noted, drastic changes brought about through change of the character of land and resultant atmospheric pollution are definitely influencing the monsoon. “World leaders are already speaking out on the link between freaky weather and climate change. 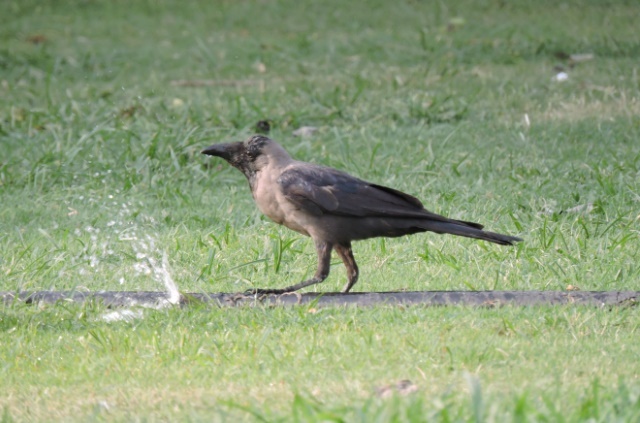 So, let us not fool ourselves that there is no connection between the unusual number of deaths from the ongoing heat wave and the certainty of another failed monsoon,” Dr. Harsh Vardhan stated and officially established the link between the current heat wave and large number of people losing their health and lives to it.